OMAHA — Methodist Hospital recently attained Magnet recognition for the fourth time, a testament to its continued dedication to high-quality nursing practice. 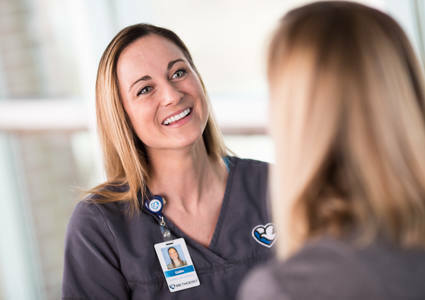 The American Nurses Credentialing Center’s Magnet Recognition Program® distinguishes health care organizations that meet rigorous standards for nursing excellence. The credential is the highest national honor for professional nursing practice. In 2004, Methodist became the first hospital in Nebraska to earn Magnet status. Now it is the first Nebraska hospital to achieve the status four times. Worldwide, a select group of 477 health care organizations have achieved Magnet recognition. Of those, 45 have been designated as Magnet organizations four times. Lower risk of 30-day mortality and lower failure-to-rescue rates. Magnet recognition also is a factor when the public judges health care organizations. U.S. News & World Report’s annual showcase of “America’s Best Hospitals” includes Magnet recognition in its ranking criteria for quality of inpatient care. The Magnet Model provides a framework for Magnet® Model nursing practice, research and measurement of outcomes. Through this framework, ANCC evaluates applicants across a number of components and dimensions to gauge an organization’s nursing excellence. To achieve initial Magnet recognition, organizations must pass a rigorous and lengthy process that demands widespread participation from leadership and staff. This process includes an electronic application, written patient care documentation, an on-site visit and a review by the Commission on Magnet Recognition. Health care organizations must reapply for Magnet recognition every four years based on adherence to Magnet concepts and demonstrated improvements in patient care and quality. An organization reapplying for Magnet recognition must provide documented evidence to demonstrate how staff members sustained and improved Magnet concepts, performance and quality over the four-year period since the organization received its most recent recognition.